Editor’s note: Muhammad Sahimi is a professor at the University of Southern California and editor of the website Iran News & Middle East Reports. The views expressed are his own. 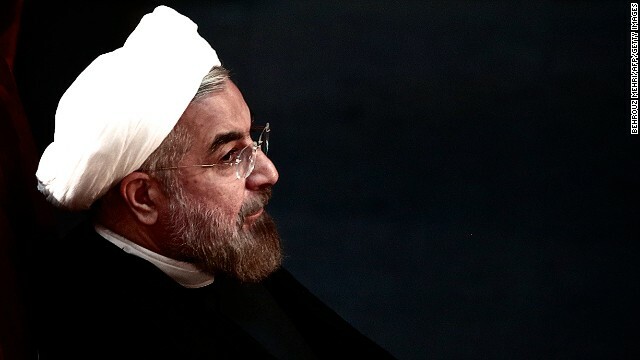 “Like resurrecting a corpse.” That was how noted journalist, documentary film maker and dissident Mohammad Nourizad described the landslide victory of Hassan Rouhani in Iran’s presidential election in June. But although Rouhani has been trying to deliver on a pre-election pledge to make Iranians’ lives better by reviving another corpse, namely his country’s economy, it has been clear that his most pressing task is actually turning around relations with the U.S. And it’s something he will need America’s help to achieve. Iran, just like Israel and the U.S., has vocal hardliners that reject any rapprochement. So it may have been an unpleasant surprise to them that Rouhani appointed the highly respected, U.S.-educated diplomat Mohammad Javad Zarif as foreign minister, transferred Iran’s nuclear dossier from the Supreme National Security Council (a body controlled by hardliners) to the Foreign Ministry and removed chief nuclear negotiator Saeed Jalili in favor of Rear Admiral Ali Shamkhani, a moderate who was the minister of defense in the reformist administration of Mohammad Khatami. On top of this, Fereydoon Abbasi, an officer of the Islamic Revolution Guard Corps and the conservative head of Atomic Energy Organization of Iran, was replaced with Ali Akbar Salehi, a pragmatic former foreign minister and MIT-educated nuclear engineer. And Rouhani’s bold moves at home have been matched by equally bold moves overseas – his speech at the United Nations, his phone conversation with U.S. President Barack Obama and his decision to authorize a meeting between Zarif and Secretary of State John Kerry were all truly daring acts in the context of Iranian politics. His op-ed in the Washington Post and interviews with U.S. media, meanwhile, all suggested that his peace offensive is a serious and honest one. But to succeed in resolving the nuclear standoff, Rouhani will have to deliver some tangible results to the Iranian people if he is to prevent the hardliners at home from scuttling the negotiation process. This was made clear on his return to Iran on Saturday, where he was greeted by a large jubilant crowd, but also by conservatives who according to The Guardian threw eggs and shoes at him. IRGC political directorate mouthpiece Sobh-e Sadegh was for its part critical of Rouhani’s op-ed, while Brigadier General Hossein Salami, deputy chief of the IRGC, declared that there is no flexibility in the force’s strategy for dealing with what he described as the “enemies” of the political system. And Kayhan, which typically represents the views of a key faction of the security and intelligence forces, spoke for many critics when it asked what Rouhani got in return for his conversation with Obama. Such criticism underscores how important it is that Rouhani secures President Obama’s backing for lifting Congress-approved sanctions if he delivers his part of any agreement. Of course, to do this Obama would have to defy the will of Iran hawks in Congress – Senators Chuck Schumer (D-NY) and John McCain (R-Ariz), for example, wrote a letter to the president urging him not to lower the pressure on Iran. And it would also mean defying close U.S. ally Israel, whose prime minister, Benjamin Netanyahu, has been dismissive of Rouhani’s outreach efforts. But it is difficult to see how Rouhani will have the diplomatic space to continue his overtures without such a move. The desire for a speedy resolution of the nuclear conflict that leads to the lifting of at least some of the sanctions was underscored in a recent open letter to President Obama, signed by 511 Iranian intellectuals, academics (including the author), social and political activists, and former and current political prisoners. “Mr. President, it is now the U.S. turn and the international community’s to reciprocate Iran's measures of good will and pursue a win-win strategy that encompasses the lifting of the unjust economic sanctions on Iran,” it said. The Obama administration has an historic opportunity, one that the United States would be foolish to squander. But to take advantage of this opportunity, Obama will need to help Rouhani by lifting at least some sanctions. If he doesn’t, and Rouhani has nothing to show for going out on a limb, Iran’s hardliners will paralyze Rouhani’s administration, just as they did with the last promising reformist president. If everyone who ascends to the highest office of their Country were honest then the World would have fewer problems because Leaders would trust each other or at least the peace loving. Then there are the dynamics of leading/governing a Nation which can traumitise a feeble hearted Leader. Then we have the inherent wrong in a Man's heart. After reading this article i sought have noticed a change in my stand concerning Iran. I sought of believed Isreali PM Benjamin N, about 'a wolf in sheep's skin', but in retrospection now reckon the new Iranian President should be helped and given a chance moreso that from my analysis the current Isreali PM is not impassioned towards peace. Ariel Sharon(one of my favourite all time Leaders) was a hawk in the classical sense but appeared more able to make genuine peace moves compared to Benjamin N. But the PM warnings should be kept in mind, very seriously. The hype of Iranian's dignity projected by Ahmedi Nijad in the world had made him an icon. Departure from hard line has made Rouahni vulnerable. Further may be in a quest to regain the status of Shah Of Iran which, status had its roots in American patronage. He for self defense and sustainability has sought protection under American umbrella. Other wise but for his personal gains no one sees any benefit to Iran by this 180 reversal in international politics by the cleric. The regime of Tehran is big liar and wanted to waive the sanctions without any positive action!. They put Iranian in a big prison as Iran and execute innocent youth every day. Rouhani got president from a fake election between few security candidate! he acts the same as Ahmadi nejad with smile in his face. He has been top security advisor of supreme leader for years. How does one waive the sanctions before the result is reached? All you have said here are some nice steps, but still nothing concrete that Iran has done, and for this we should automatically begin "the lifting of at least some of the sanctions" what's the big deal, agree to stop enriching to whatever level deemed not useful for nuclear weapons, along with whatever steps the experts say are necessary to ensure no nuclear weapons are able to be produced, and walla, no more sanctions. This mentality of rewarding before any real concrete steps are done, is like celebrating the Birthday Cake, way before the Birthday. Abobakr Ibrahim, I have come to exactly the opposite view, I had initially thought Netanyahu was a bit harsh, but now I am beginning to understand why he takes the strong view he does, if people are already are talking about ending the sanctions before the threat is removed. There had been 60 years of tricky relations between Iran and the US. In both countries there are hardliners, who don't forget and forgive various incidents in their history. They block all efforts for a reconciliation. 1) In 1953 US and British intelligence agencies orchestrated a coup to oust Iran's democratically elected prime minister, Mohammad Mossadeq. The secular leader had sought to nationalise Iran's oil industry. 2) In November 1979 the US embassy in Iran was seized lby Islamic militants, who held 53 US citizens hostage for 444 days. 3) The American warship USS Vincennes shot down an Iran Air flight in the Gulf in July 1988, killing all 290 people on board. Most of the victims were Iranians on their way to Mecca. The US said the Airbus A300 was mistaken for a fighter jet. 4) In 2002, in his State of the Union address, Bush II denounced Iran as part of an "axis of evil" with Iraq and North Korea. The speech caused outrage in Iran. For quite some decades now, the good people of Iran have been struggling for freedom from organized, obstinate set of rulers that has the progress of Iran just as a "wish-could-be-possible stuff". It is possible to free the Iranians from bondages from sanctions if the citizens could should faithfully yearn for it. Their leaders shoul stop hateful resentments against governments. Roouhani and zarif got a mission from the supreme leader to tweet and say we love Jewish and democracy!! to fool the western countries and got the sanctions waived without stopping enriching of nuclear weapons. They contacted Russia to get the s-300rockets. Then atomic bomb will be ready to use or to give to the terrorists like Hezbolah! Spread the word ….THE MUSLIMS ARE NOT HAPPY! They’re not happy in Yemen ..
They’re not happy in Lebanon .. THE COUNTRY THEY CAME FROM WHERE THEY WERE Unhappy !! !